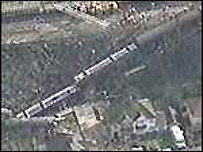 A train driver involved in a rail crash in which five people died has had his manslaughter convictions overturned. Robert Morgan, 64, of Ferring, West Sussex, was operating a London-bound train which collided with another service outside Purley station. More than 80 other people were injured in the crash in March 1989. He did admit two counts of manslaughter but appealed due to new information which, if known at the time, would have enabled him to plead not guilty. Mr Morgan was jailed in September 1990 for 18 months, 12 of which were a suspended sentence, but the term was later cut to four months on appeal. He was driving a Littlehampton to London Victoria train which went through a red light and collided at 60mph with a Horsham to Victoria service. But it was found following his conviction that there had been four previous Spad [signal passed at danger] incidents involving signal 168 in the five years prior to the fatal crash. Mr Morgan's legal team said a "better understanding" of the signal's safety record had now been taken into account. Sitting alongside two other judges at the Appeal Court on Wednesday, Lord Justice Latham said there were factors of "considerable significance" which had not been considered in 1990. He said: "The history of signal 168... would have been a significant factor in any jury's evaluation of the extent to which the appellant's fault could have been said to have gone from being negligent - breach of duty - to being the sort of breach of duty which justified the imposition of criminal sanctions." And Lord Latham added that a further Spad two years after the crash, despite safety improvements at signal 168, meant that "something about the infrastructure of this particular junction was causing mistakes to be made". "Had a jury known that, it is at the very least impossible for us to conclude that the jury would inevitably have nonetheless convicted the appellant of manslaughter," he concluded. A statement issued through Mr Morgan's legal team said he was "both delighted and relieved" that his convictions had been ruled unsafe. Solicitor Gary Rubin said: "It is unfortunate that at the time when this tragic accident occurred, the significance of this particular signal being passed at danger on four previous occasions was not properly understood. "Due to this lack of understanding at the time, Mr Morgan was placed in a position where he had no alternative other than to plead guilty. "The impact of the better understanding has been material to the [appeal] court taking the rare step of quashing a conviction where there had been an original guilty plea so long ago." Mr Rubin added that his client's thoughts remained "with the families that lost loved ones".